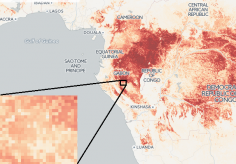 SEATTLE – New high-resolution maps pinpoint areas across Africa with concentrations of child deaths from diarrhea and show uneven progress over 15 years to mitigate the problem. More detailed study findings are available in the online visualization tools at vizhub.healthdata.org/lbd/diarrhea. For example, three states in Nigeria – Yobe, Bauchi, and Gombe – accounted for six percent of all diarrhea-related deaths in Africa, while encompassing only one percent of the population at risk. 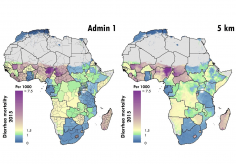 The study, “Variation in Childhood Diarrheal Morbidity and Mortality in Africa, 2000–2015,” is available online at IHME’s website, www.healthdata.org.